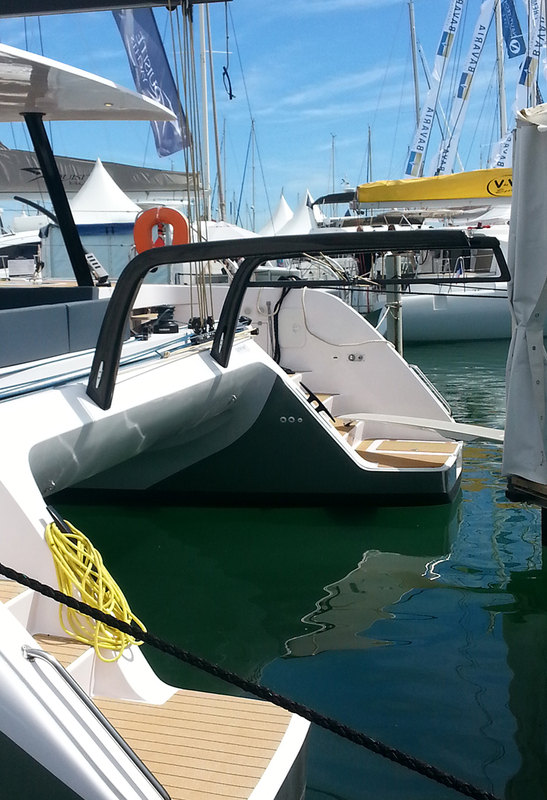 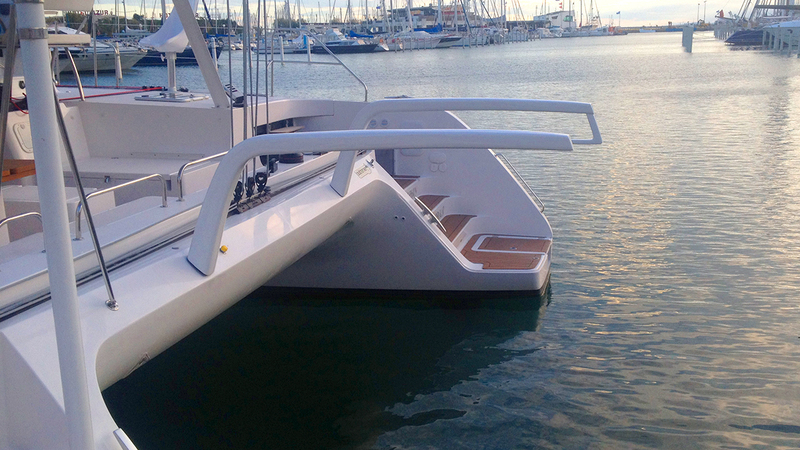 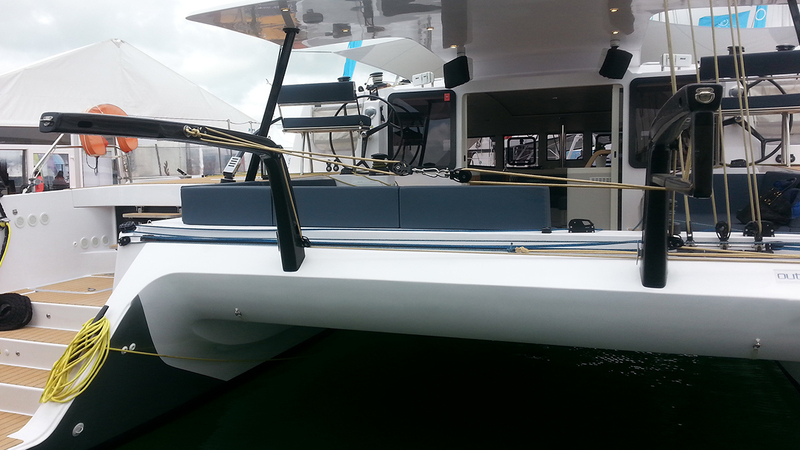 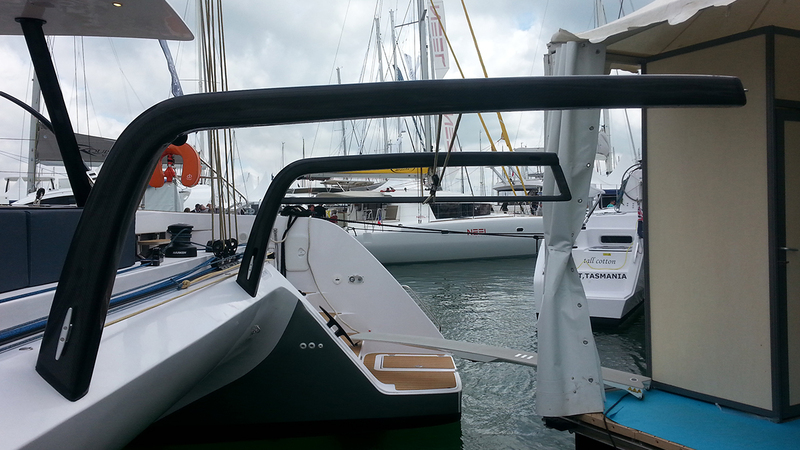 To ease dinghy lauching or hoist it on board, we propose our carbon davits. 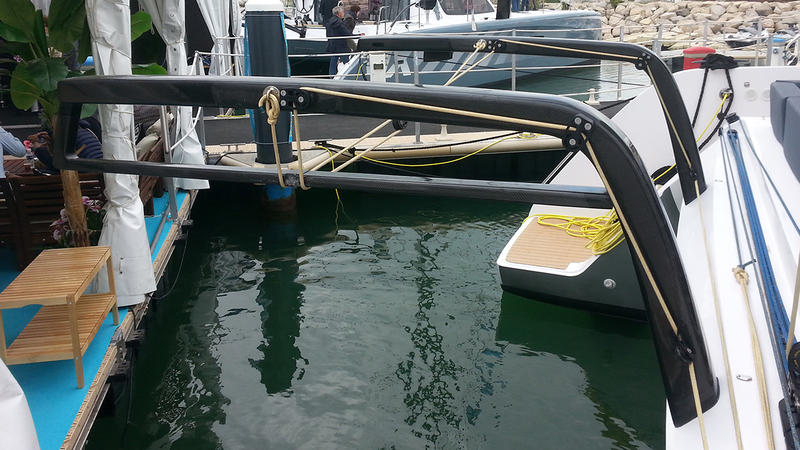 Particularly light and esthetic with gloss or varnish finition, this crane is the solution for your dinghy. 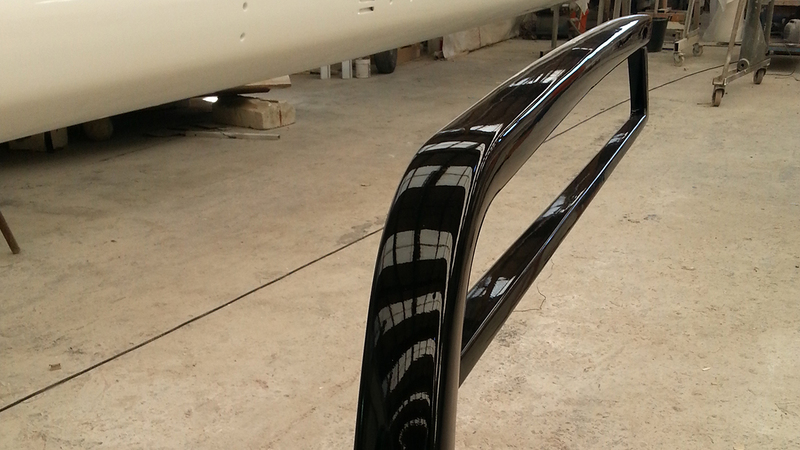 Light and strong, they are removable, pivoting and telescopic while being design and custom made. 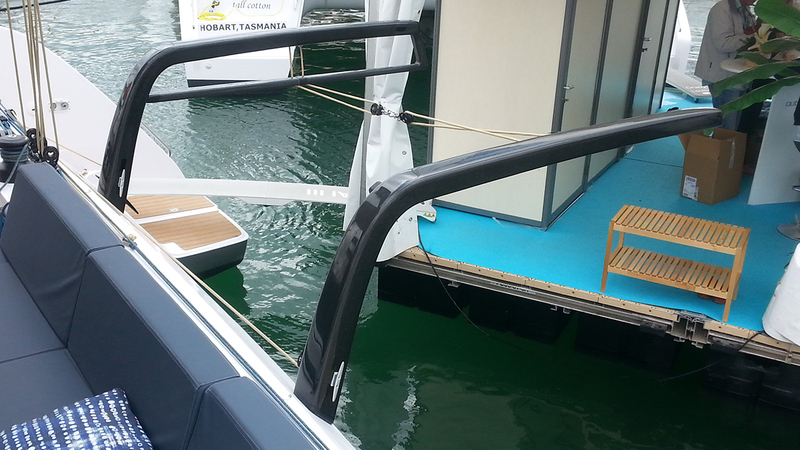 Our davits are tested, validated and certified to support all type of dinghies, all weights with a maximum load acceptable notification.